The largest sized So Lite 3.0 Trolley Case is stylish, durable and packed full of features whilst maintaining its light pick up and easy maneuverability. Features include TSA locks, expanders and rear smart sleeve. The TOSCA So-Lite 3.0 continues to provide travellers with a lightweight soft case that is big enough to fit all your packed belongings. 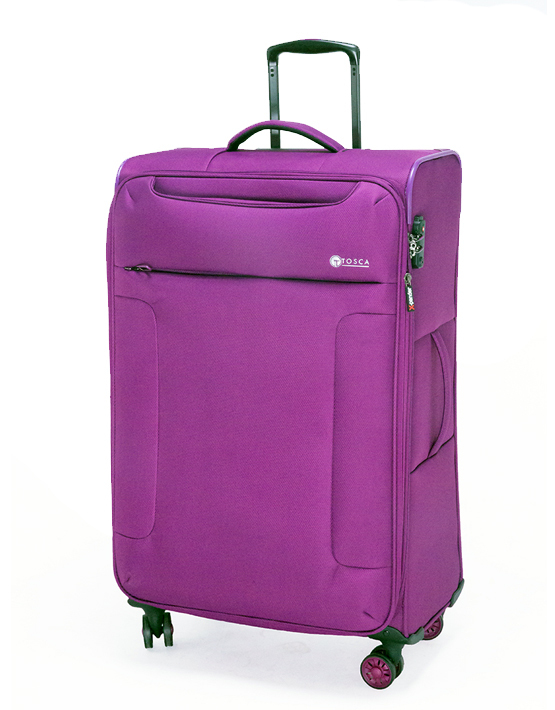 The TOSCA So Lite is available in multiple colours and is backed by TOSCA’s 10 year Warranty. The large sized So Lite 3.0 Trolley Case is stylish, durable and packed full of features whilst maintaining its light pick up and easy maneuverability. Features include TSA locks, expanders and rear smart sleeve. The TOSCA So-Lite 3.0 continues to provide travellers with a lightweight soft case that is big enough to fit all your packed belongings.